Any commercial foodservice establishment needs to have ice on hand for use in beverage making and beyond. Having the right ice maker on hand can be the difference between having plenty of ice to always provide customers with frosty cold beverages, or running out of ice during busy periods and leaving customers with lukewarm drinks that leave something to be desired. Whether your business is small or large, you can find the right ice machine or ice maker to keep up with whatever customer demand you might have, while avoiding costly waste due to overproduction. There are a variety of different sizes and styles of ice machines and ice makers to choose from, depending on your production requirements and the space available within your establishment to house the ice maker or ice machine. You will find undercounter ice machines and ice makers that are perfect for use in settings where space is limited or production volumes are a bit lower, or you can opt to choose an ice bin and ice maker or ice machine combo that are sized specifically to your unique production volume needs. 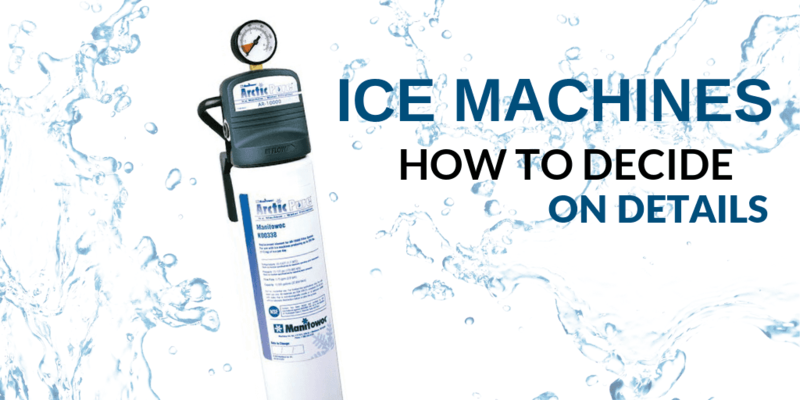 You may also find that browsing the selection of ice makers and ice machines based on the type of ice produced allows you to quickly identify which ice makers and ice machines might best meet your particular needs. You will find ice makers and ice machines that produce half-dice, full-dice, nugget, and flake ice, all of which work best in specific uses and drink types. Whatever volume or type of ice you need, you will find the perfect ice machine or ice maker at ckitchen.com. The product produced by your commercial ice machine can come in a variety of forms. There are four basic types of ice that you’ll need to choose from: cube, nugget, flake, and gourmet. Depending on how your restaurant will utilize ice as well as your budget and needs, there are a variety of models to choose from within each ice type category. Air-cooled, water-cooled, and remote-cooled ice machines all function differently and can impact the efficiency of your commercial ice maker. While there are certainly benefits and downfalls to each of these cooling and condenser types, you’ll need to decide between the trio when choosing your commercial ice maker. Your commercial ice machine can be outfitted to suit your establishment’s specific needs. Filtration systems are one of the essentials that we recommend, but different accessories and parts can all come in handy as well. Upgrade your commercial ice machine with the appropriate parts and accessories to keep it functioning efficiently and safely. Find commercial ice makers from some of the top brands in the industry when you shop online at CKitchen. We’re proud to offer an extensive lineup of ice machines suited for the demands of a commercial food service or hospitality establishment. From making ice-cold beverages to preparing ice baths for your vegetables, a dependable ice maker is a must-have in any professional kitchen. Fortunately, you’ll always have clean, fresh ice available at a moment’s notice when you choose from this selection of top-of-the-line ice machines. You’ll find options from some of the most respected names in the restaurant equipment industry, including Manitowoc, Hoshizaki, Scotsman and Maxx Cold. Finding the right ice machine for your needs is simple when you shop at CKitchen. 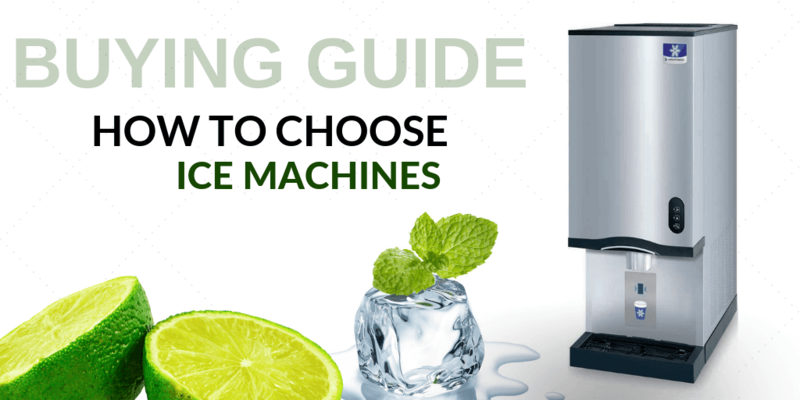 We’ve conveniently categorized our ice makers so you can shop according to specific needs. For example, a compact kitchen or bar will likely need an under-counter ice maker to deliver fresh ice within a tighter space. If you want to combine functions for guest or employee access, you can get a two-in-one ice and water dispenser. There’s also the shape of the ice to consider; we offer ice machines that make half-dice ice, full-dice ice, nugget ice or flake ice depending on your preferences. These machines also come with different capacities and configurations, allowing you to find the equipment that will fit in your commercial space and deliver fast, reliable performance. Another thing to consider with your ice machine purchase it how it will be cooled. 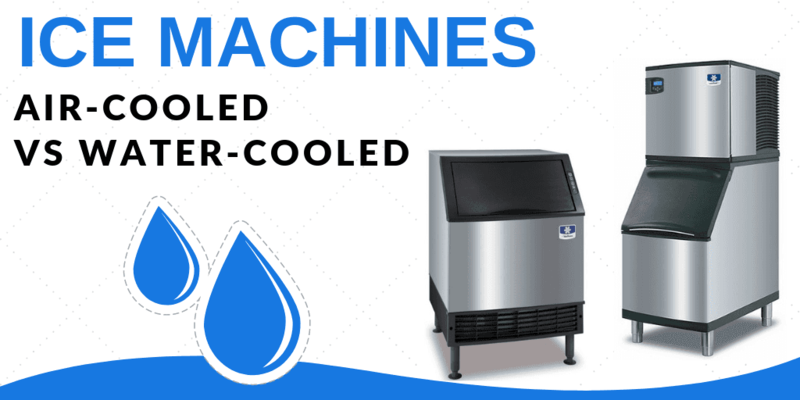 Air-cooled, water-cooled and remote-cooled ice machines each function differently, so finding the right fit for your space is a must. You can also get ice bins, remote condensers, water filters and other ice maker accessories when you shop at CKitchen. To learn more about any of our ice makers or other commercial kitchen equipment, just get in touch with our friendly, knowledgeable staff. We’ll help you find the right fit for your needs and your budget. Deciding on the details - from the size of your machine to the type of ice it produces - can make all the difference in its integration into the efficiency of your kitchen. 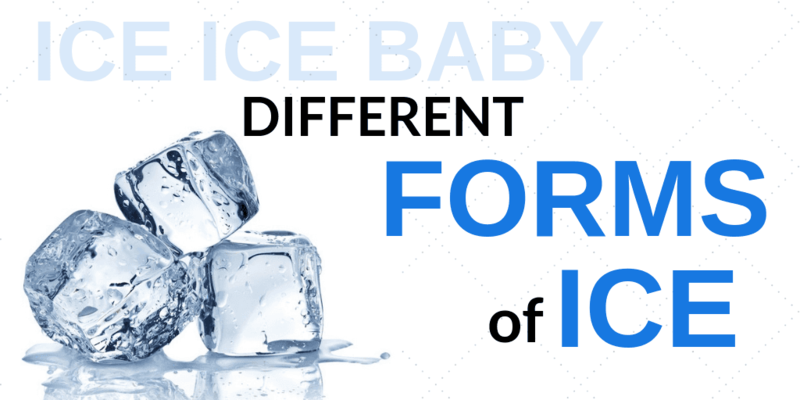 When choosing an ice machine, it pays to invest in the right type of ice that fits the bill. From cubed to crushed, choosing the right type of ice for your restaurant’s applications is critical in selecting the appropriate ice machine for your kitchen. Compressors come in three main types: air-cooled, water-cooled, and remote-cooled. Choosing between the three is dependent on your restaurant’s specific needs. Excellent equipment and Fantastic price.